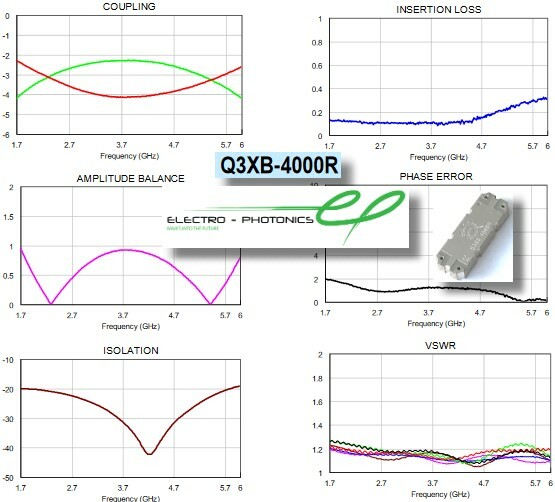 October 23, 2017 - Electro-Photonics LLC, a market leader in RF and Microwave components has released a new broadband surface mount (SMT) hybrid coupler: Q3XB-4000R. Our new Q3XB-4000R, 90° hybrid coupler operates from 1.7-6 GHz, dissipates 85 W, and offers excellent coupling flatness and isolation for the most critical applications. 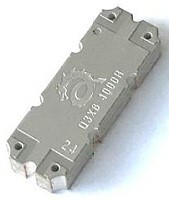 This coupler has a very small package of .560 x .200 inches (14.22 mm x 5.08 mm). 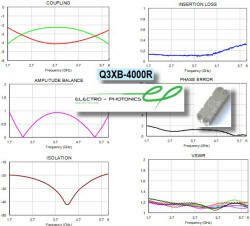 The Q3XB-4000R is manufactured in the USA, and is RoHS compliant.